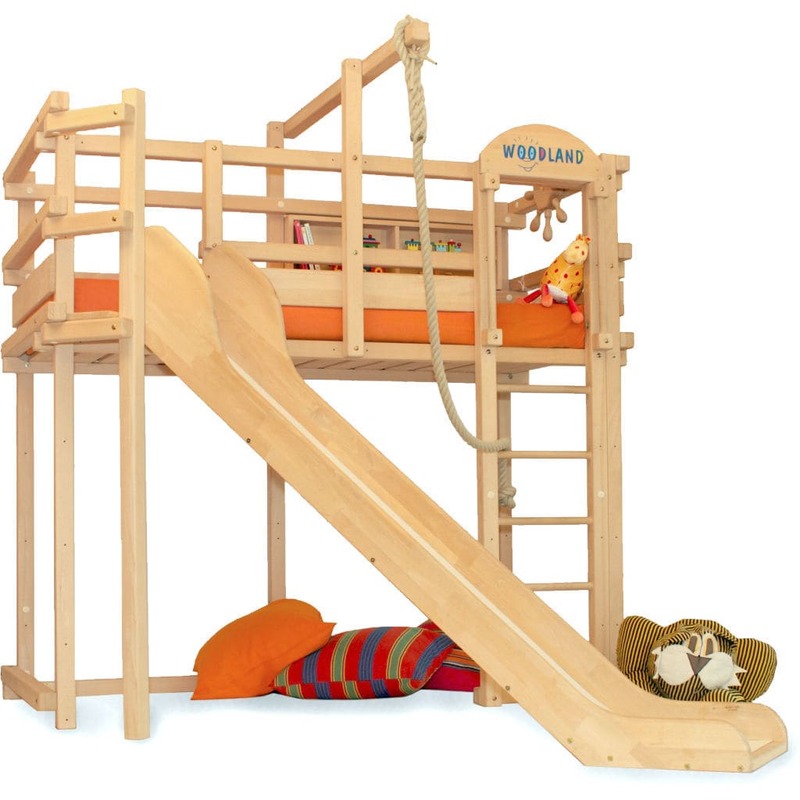 The LONG ISLAND slide has a 30 cm high guard rail in the seating area, a 'good for posture' slide end and a sturdy sliding surface. There are also some slide platforms available for other slide angles and attachment positions. 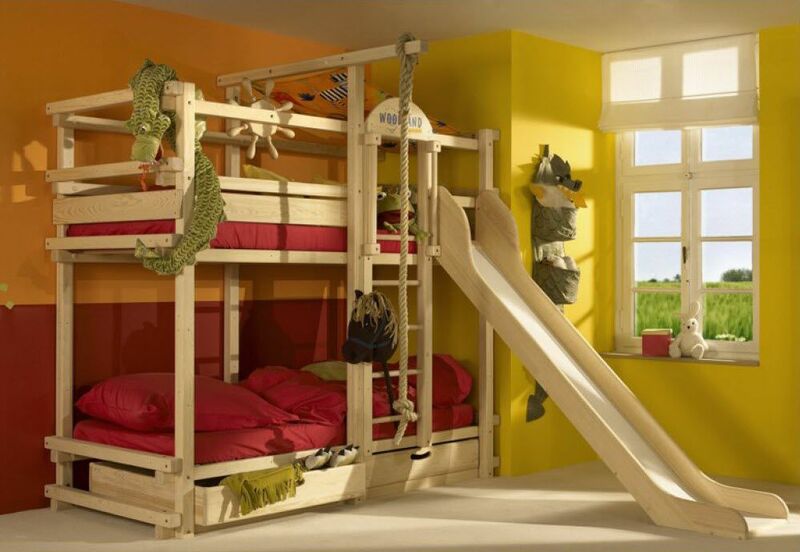 No matter if you have a loft or bunk bed the position of the slide can always be exchanged with the position of the ladder at the long side of each WOODLAND bed. Since it is also possible to assemble the beds mirror inverted - which you can see at the pictures below - there are four possibilities for the positioning of the slide on the long side of the bed. 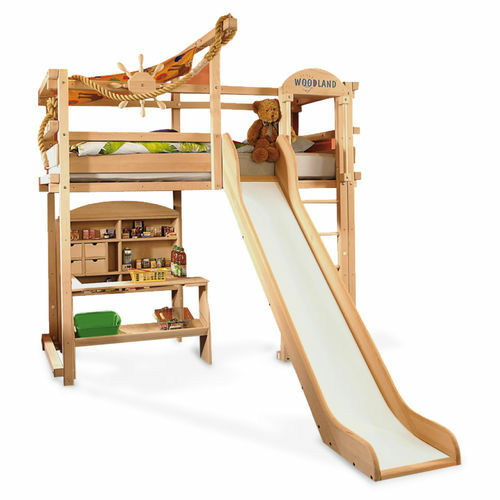 If you use a WINNIPEG loft bed you must assemble the assembly option 4 in order to be able to use this slide properly.